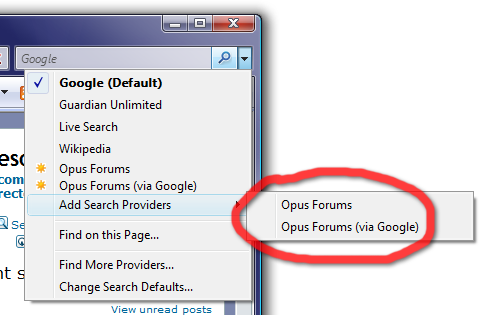 Steve has added a convenient way to configure your browser to search the Directory Opus Resource Centre forums and downloads. 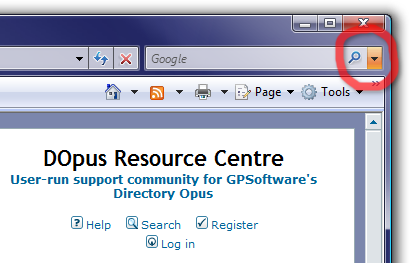 If you are using Firefox or IE7 (or Opera, probably) and visit the Resource Centre then you should see the search field indicate that search plugins are available. Click on the drop-down and you can install them. There's one search plugin that searches using the forum's own search features (which are not brilliant for complex searches but give you a better overview of the results) and another that searches the forums via Google (which is better for complex searches, but shows results in a worse format). 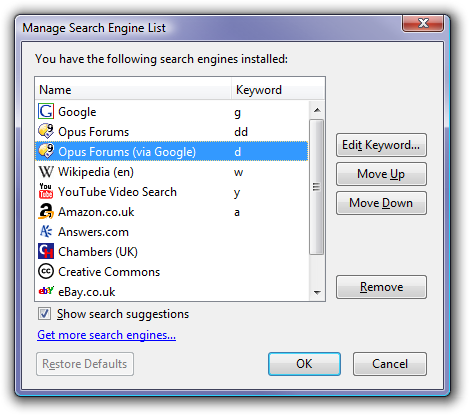 Still in Firefox, note that after you install a search plugin you can assign keywords to it. These let you search the site via the address bar. 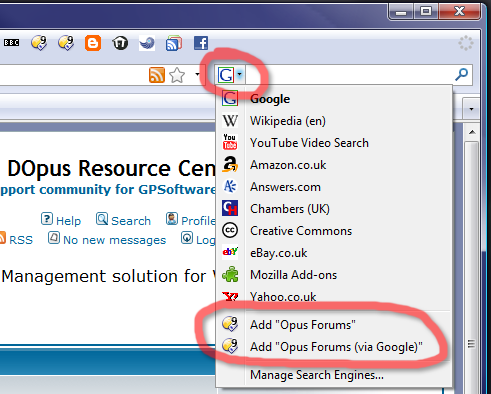 In my example below, if I typed d activex into the address bar in Firefox I would search the Opus forums for "activex", via Google. You can also create keyword searches in IE, although I think it requires some registry editing (or Tweak UI if you are using Windows XP). Forum member Amirz has posted information on how to install several Preview Handlers designed for Vista so that they work in XP as well. These Preview Handlers can them be used to view files in Opus via the recently released ActiveX + Preview + Office + Web plugin.